Every appointment at your dentist office is an opportunity to speak with your dentist about any concerns you have about your oral health. 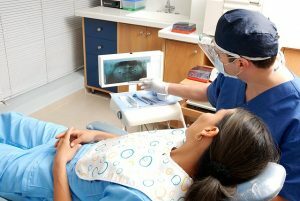 Whether you are there for a biannual cleaning or a specific issue, you’ll want to have your questions ready to make the most of your visit to the dentist office. No matter the reason for your visit, many of your concerns can be relieved with knowledge of what is to come. Ask whoever you see first, the dentist or hygienist, what the appointment will entail. If you are interested, you can also ask about any instruments that will be used for cleaning or other dental work. This will give you a heads up about any potential pain or anxieties. Then you can address those before you are leaned back in a chair and unable to speak as clearly. Based on your own teeth and mouth, as well as lifestyle and goals, your dentist can recommend products that you should use at home. 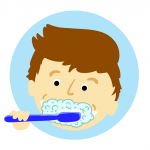 Whether you are experiencing sensitivity, need to address gum disease, or just need a better routine, your dentist may have recommendations for toothbrushes, pastes, mouthwashes or rinses, or other products that can improve the health of your teeth. He or she can also recommend when and how often to use those products. Are there any treatments that could improve the look of my smile? Whether you have crooked or missing teeth, yellowing or discoloration, speak with your dentist about treatment options. If you need orthodontic work, implants, or replacements, your dentist can explain various options as well as offer referrals. If you are interested in whitening, your dentist may have treatment plans in the office, as well as recommendations for ongoing treatments at home. What can you do to alleviate pain? If you are experiencing any pain, in your teeth, gums, jaw, etc., let your dentist know. Your dentist will want to help you alleviate that pain and can work with you to develop a treatment plan to address it, either immediately or over time, depending on the source. Pain could be a sign of a deeper or more complex problem so speaking with your dentist about it could improve your oral health and keep your mouth and teeth healthy for the long term. What does my dental plan cover? And what are your payment options? This is technically a question for the front desk at the dentist office, where they can look up your insurance policy and find out what your benefits include. They can also print out a quote for any treatments recommended and explain how much your insurance will cover and how much you will have to pay out of pocket. If they have financing options, they can explain those as well. Speaking candidly with your dentist can eliminate any anxieties you have moving forward. Your dentist is there to help you feel better so don’t be afraid to speak up and ask your questions.